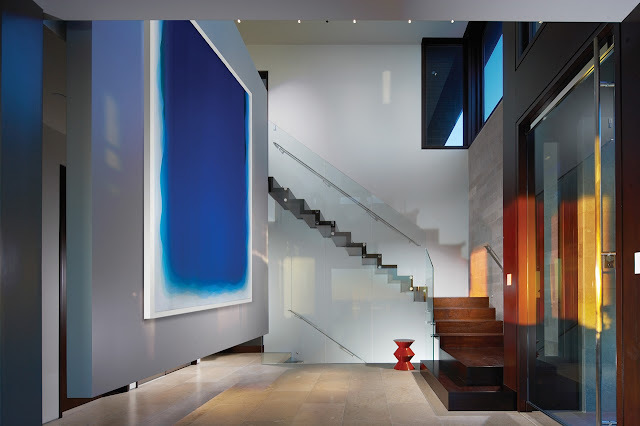 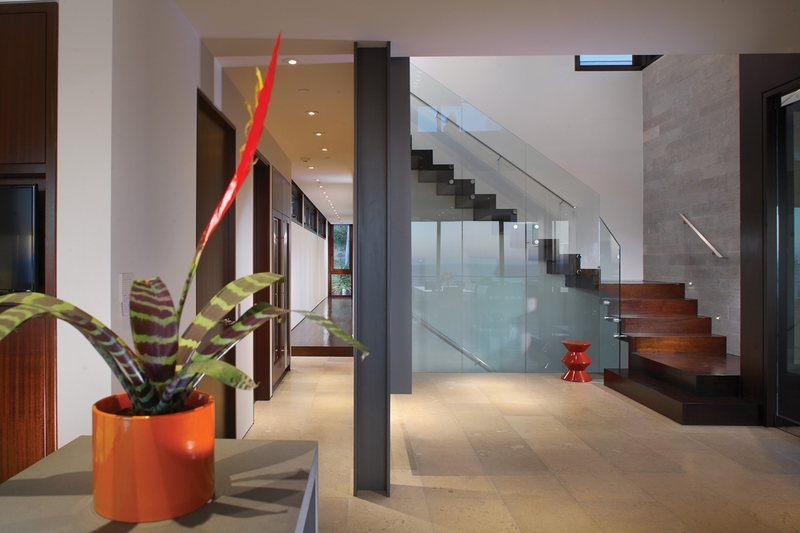 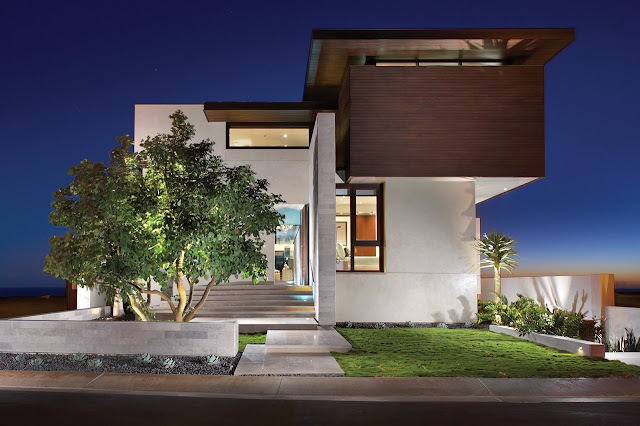 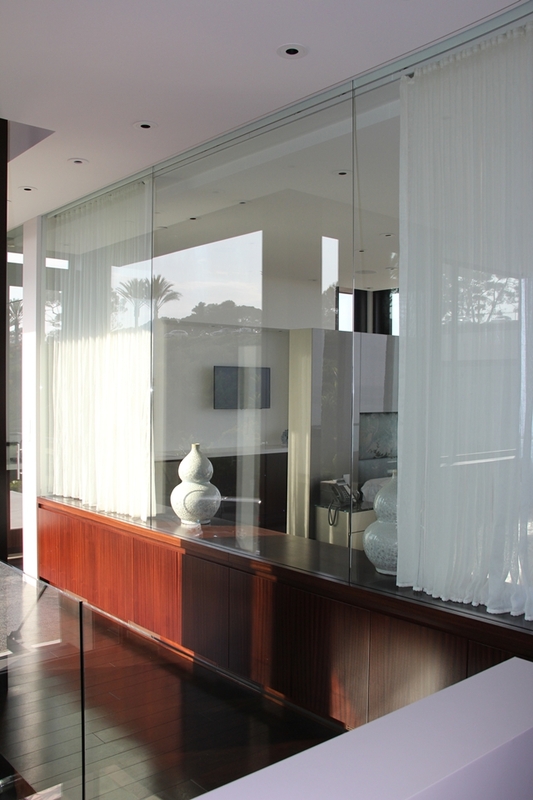 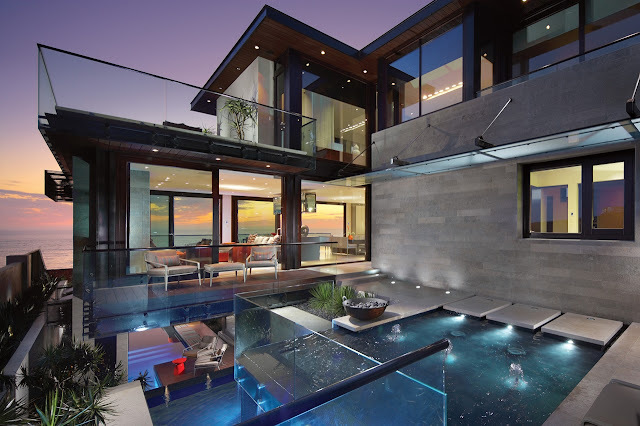 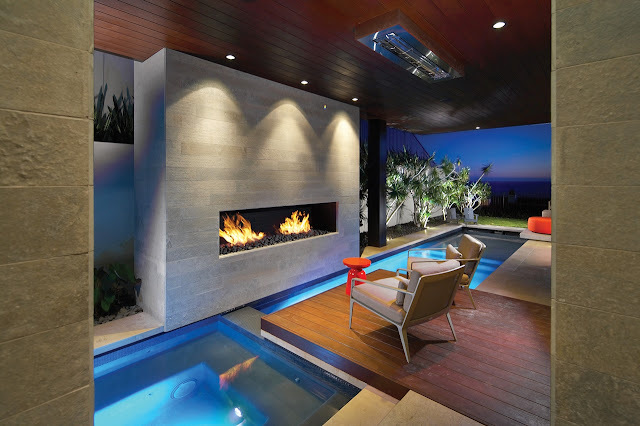 This AIA award winning home, designed by Horst Architects, resides at The Strand in Dana Point, California. The Strand Residence is one of those romantic homes you see on the movies, built on the hilly terrain above the ocean when sun is slowly painting the sky. 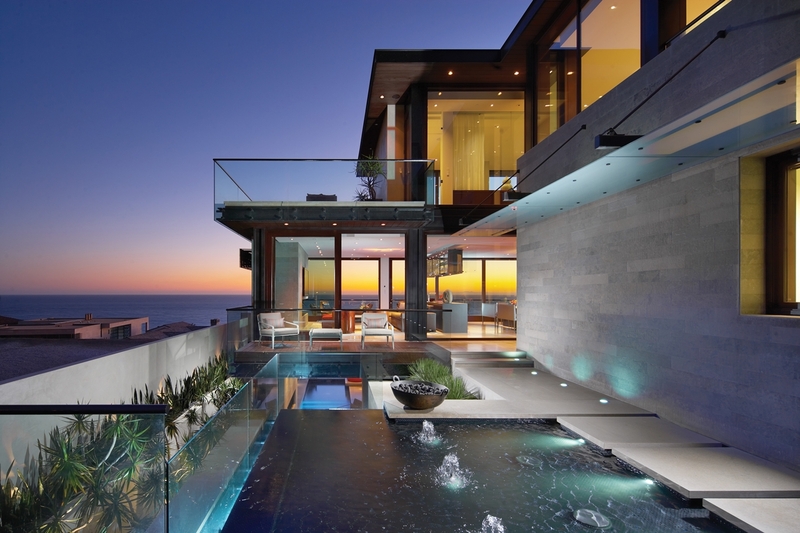 "A series of overlapping reflecting ponds within the home's central courtyard instills a sense of meditation and retreat where one can contemplate the ocean and sky. 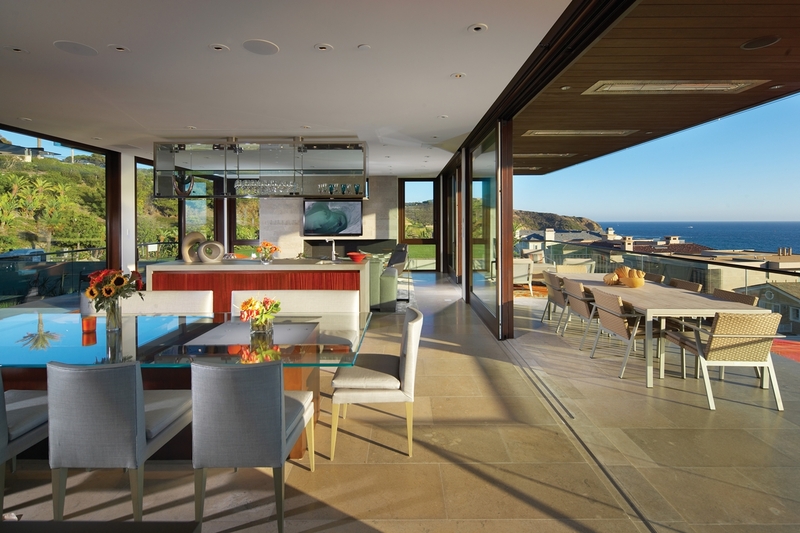 Indoor and outdoor living is orchestrated by balancing views with privacy, communal space with intimacy. 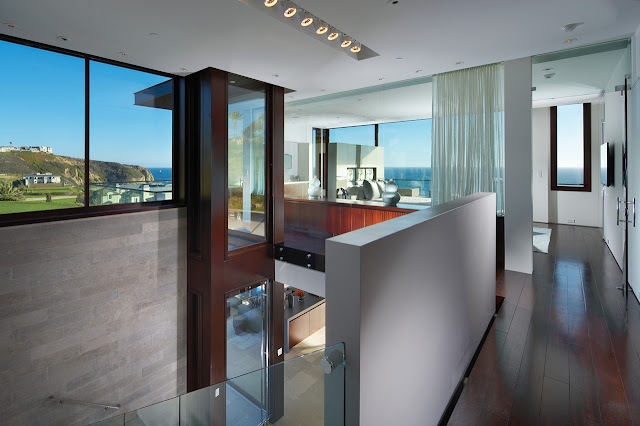 The clear expression of the steel skeleton structure, infilled with glass and wood, allows the structure to sit lightly along the coastal terrain, while limestone walls anchor the structure. 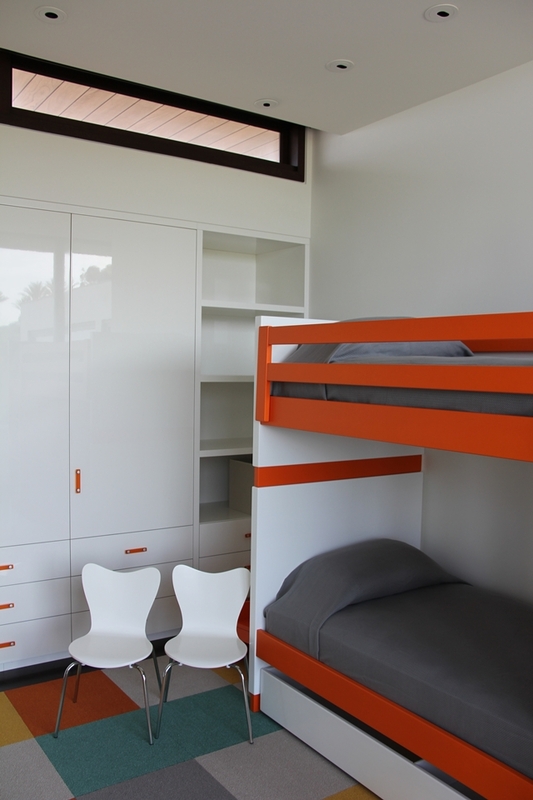 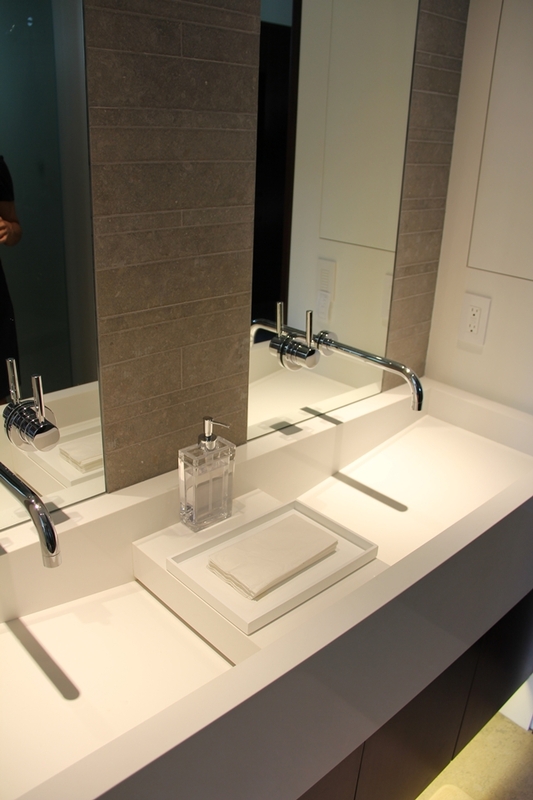 The interplay of light, materials and composition contribute to a sense of place rooted into the site."